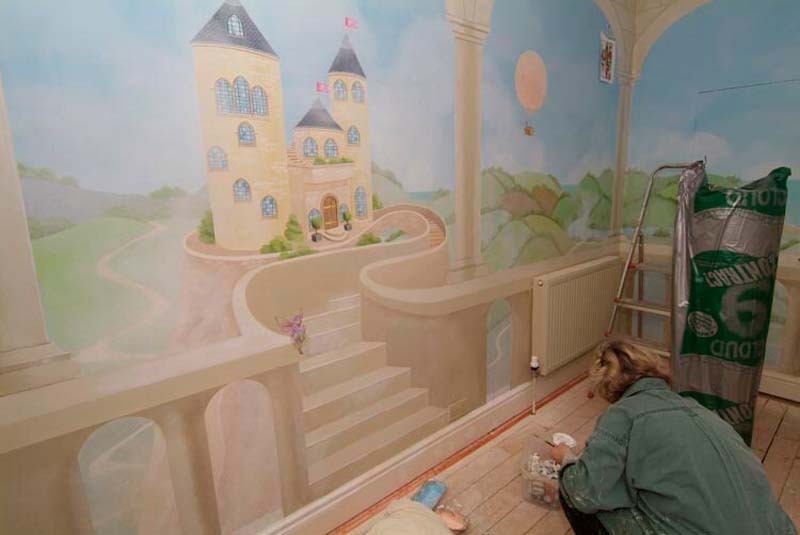 I have worked within private homes, schools and hospitals. 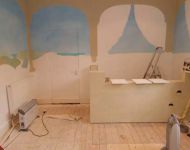 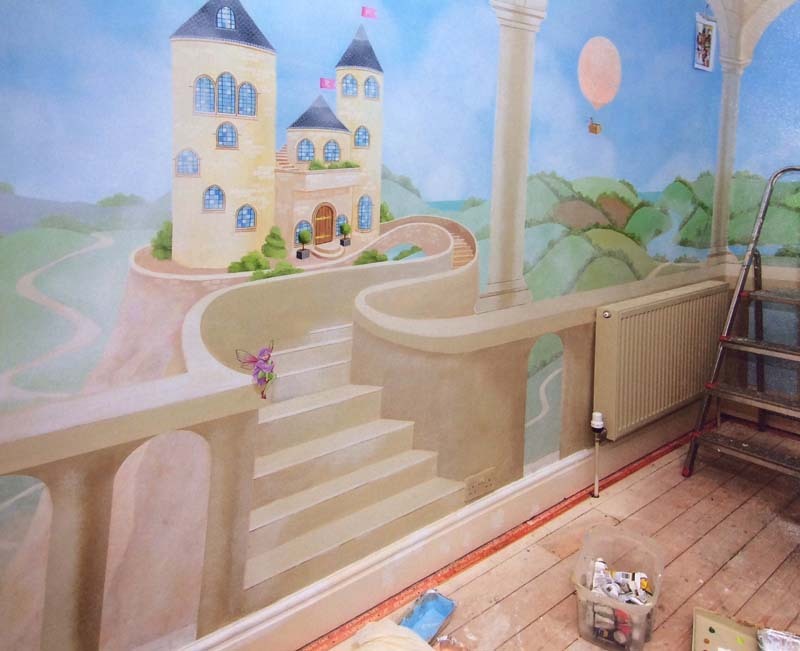 If I’m lucky enough to create, say, a whole playroom, then the children would be involved in the design. 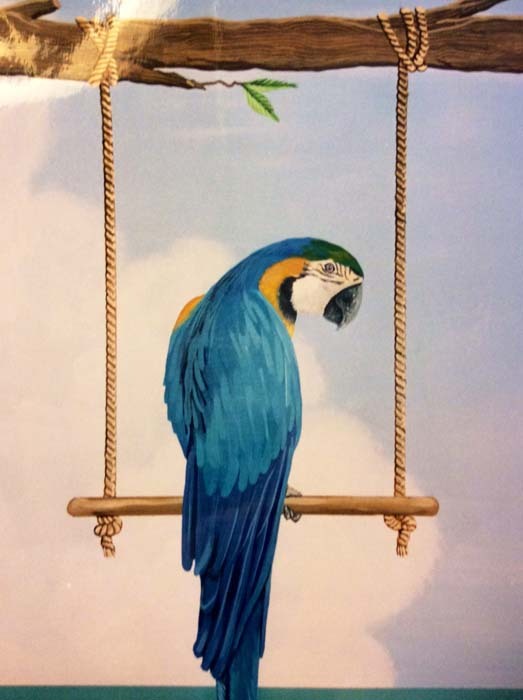 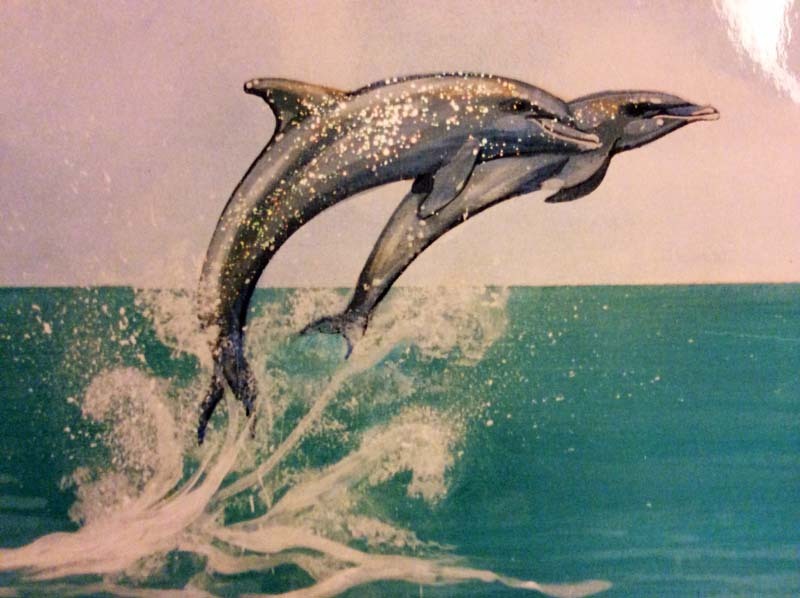 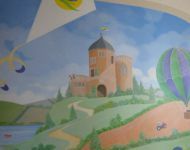 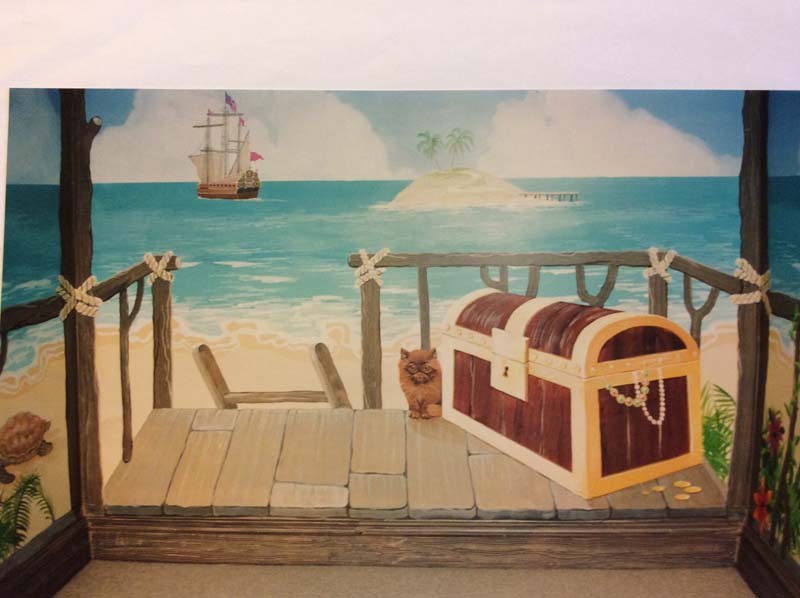 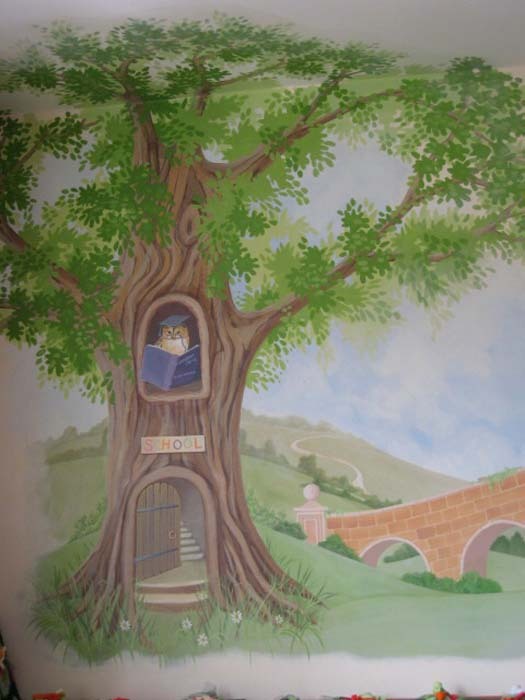 A local school gave me the opportunity to create several murals that featured in its main hallway and library. 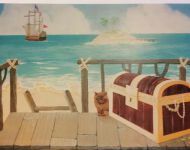 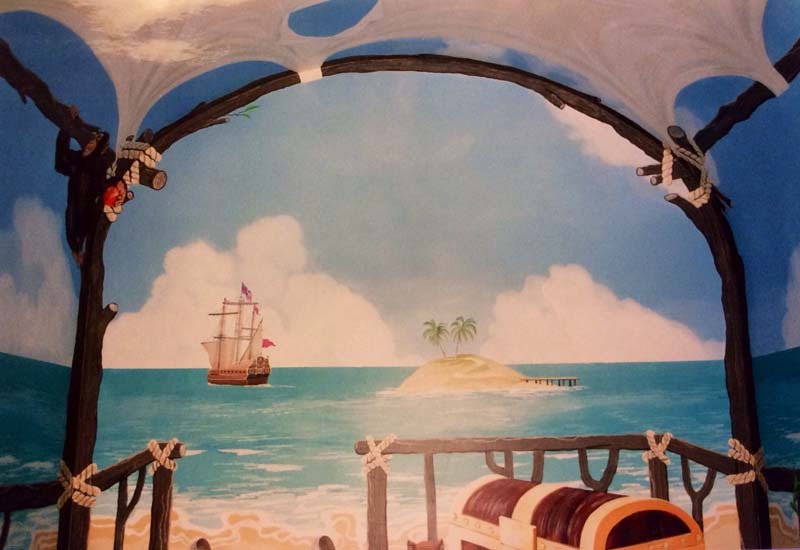 A dank basement was tanked and well lit, two niches leading off the room allowed me to turn it into a playroom featuring a pirate’s treasure island theme and a jungle ruin featuring many deadly animals. 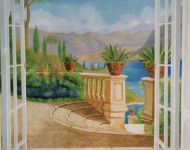 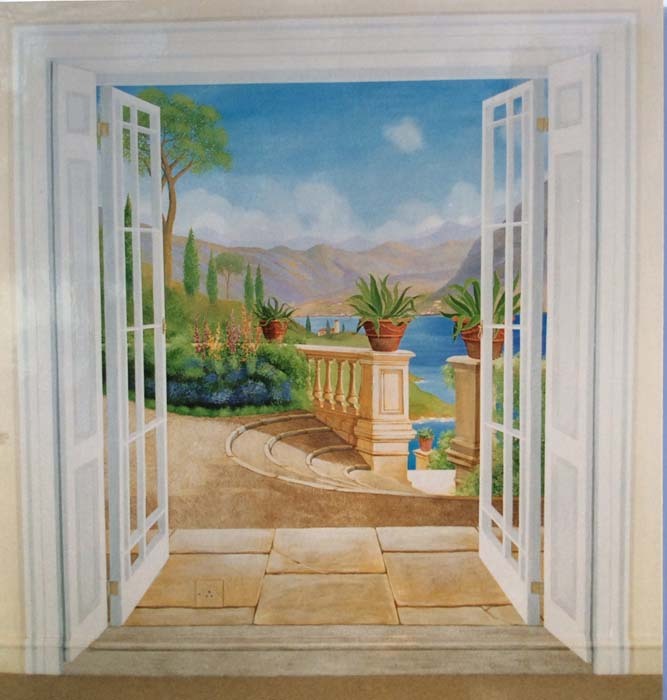 For their parents, since the basement was windowless, I painted French windows leading out to an Italian lake scene. 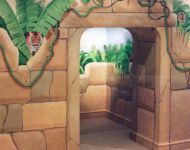 The window architecture was copied to match the real windows upstairs. 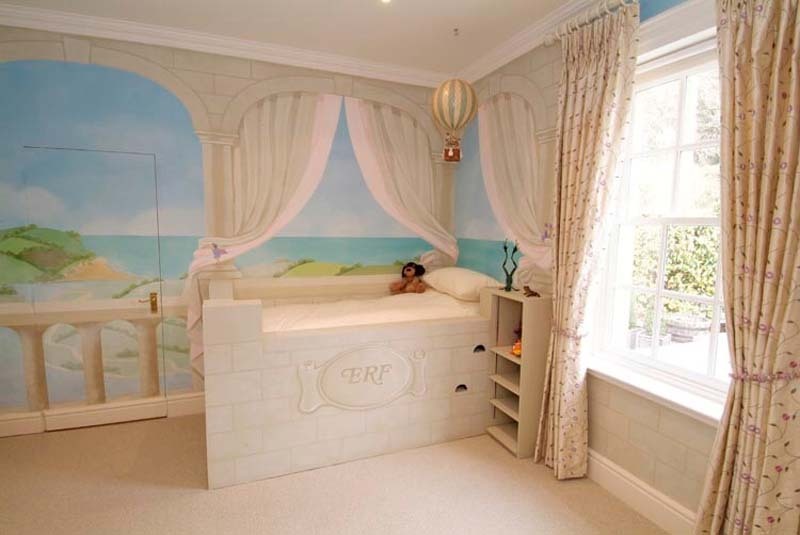 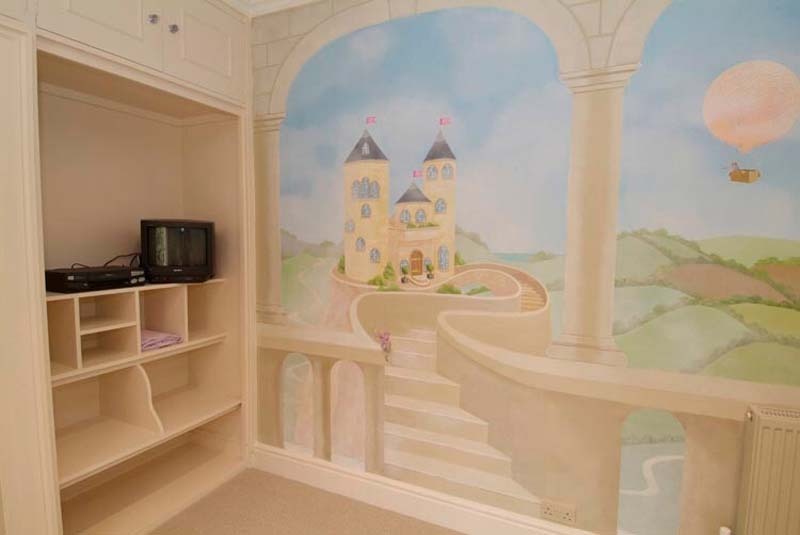 A fantasy bedroom with castles and fairies. 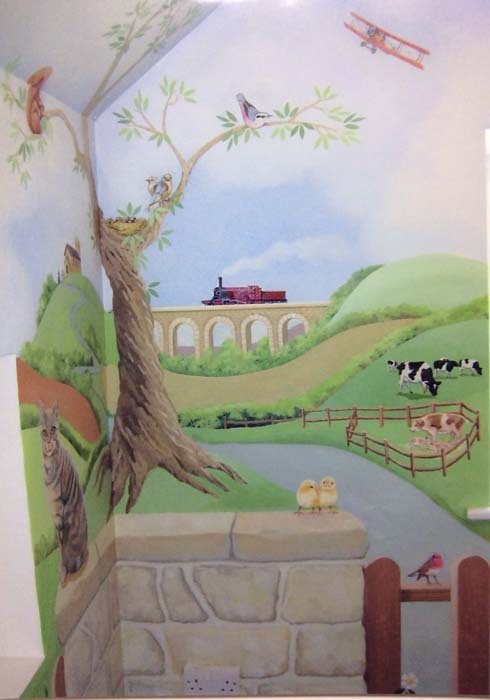 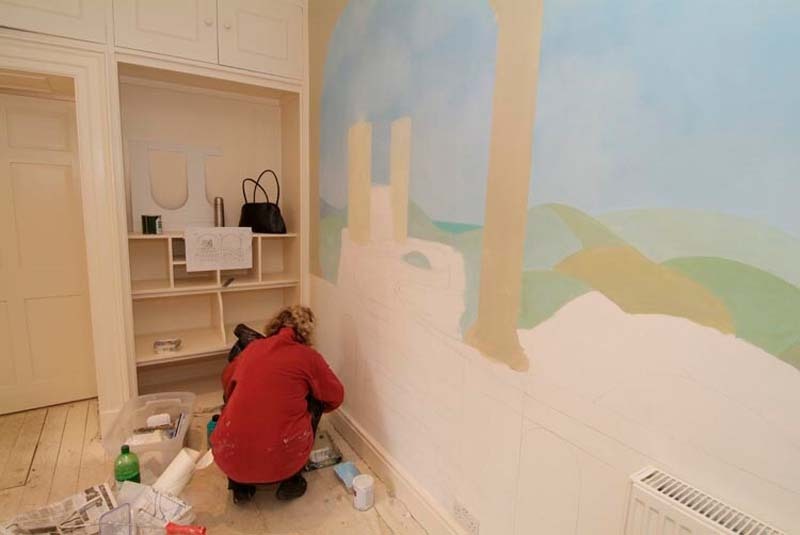 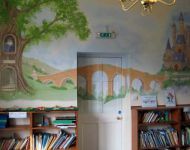 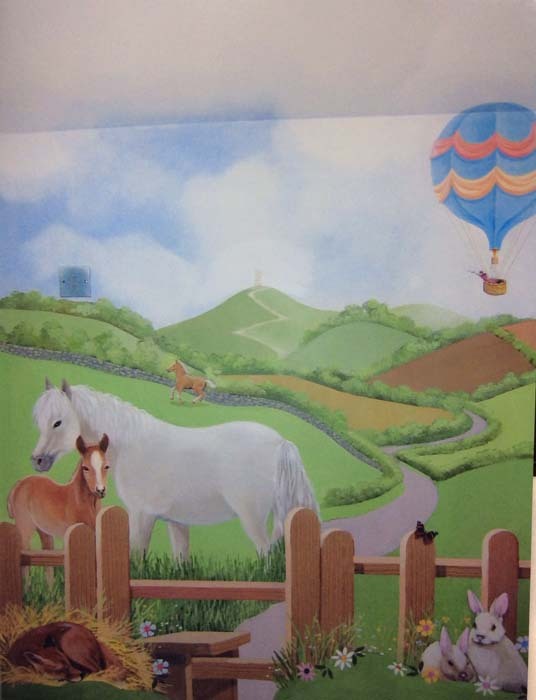 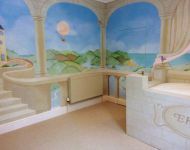 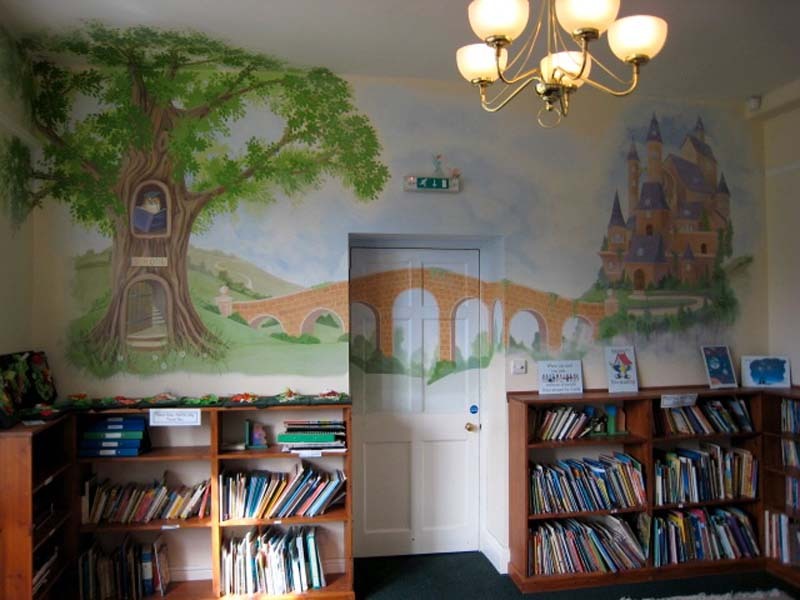 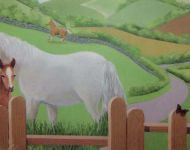 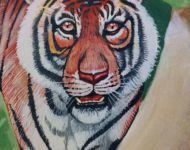 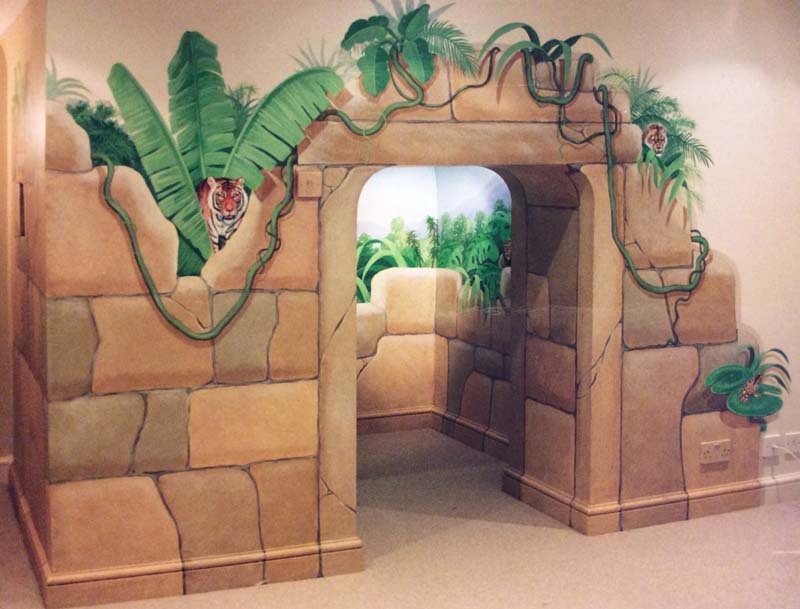 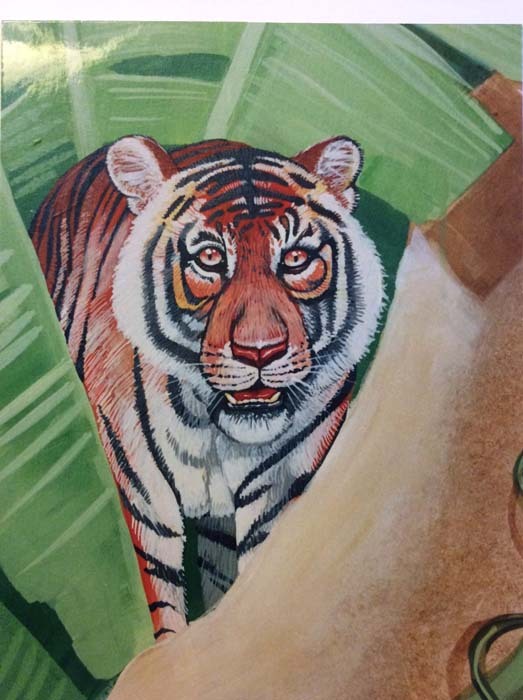 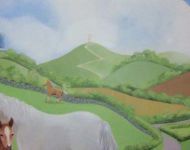 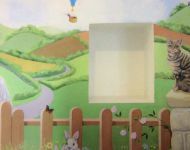 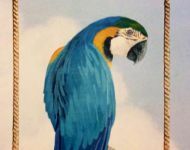 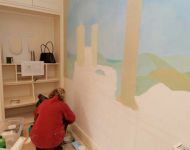 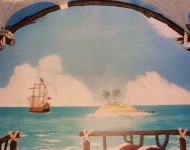 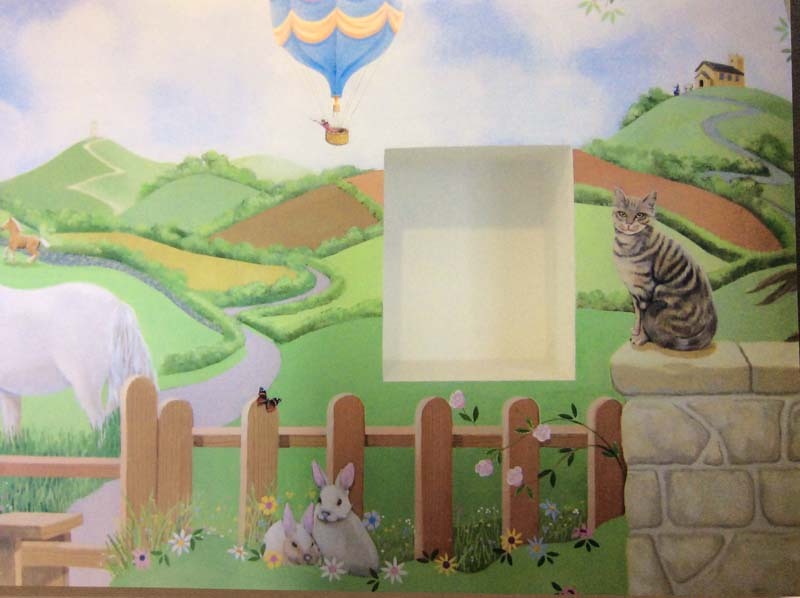 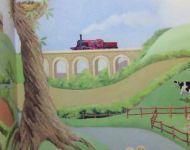 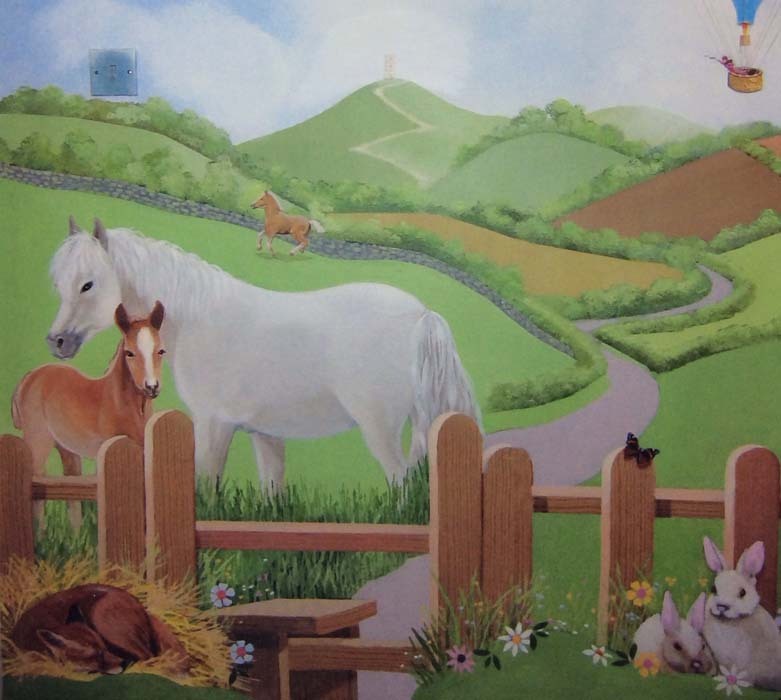 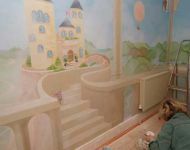 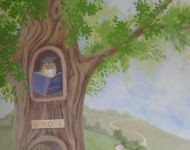 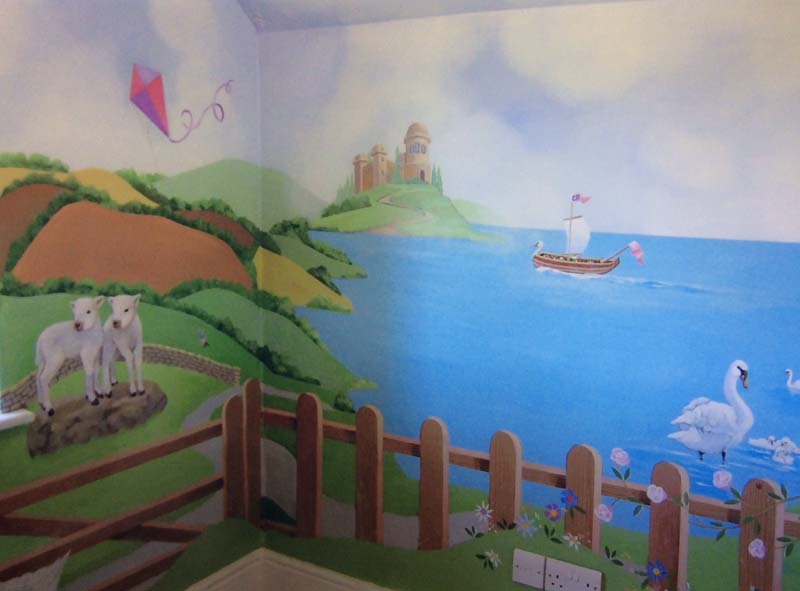 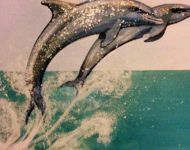 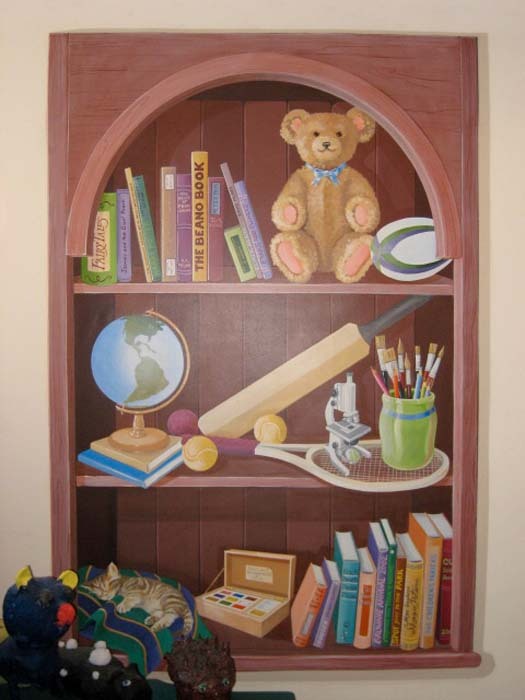 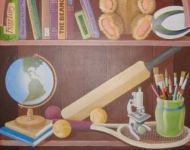 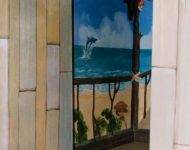 A nursery and pre prep school gave me the opportunity to create murals and trompe-l'oeil for their library, hallway and classrooms. 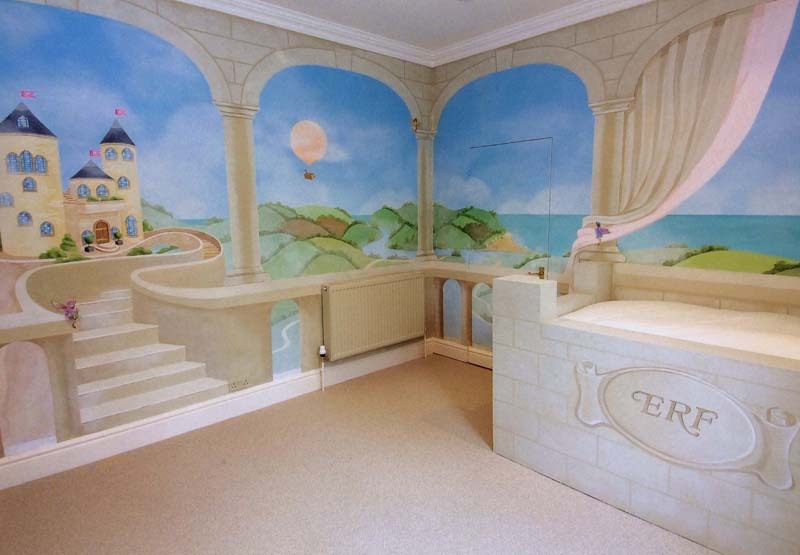 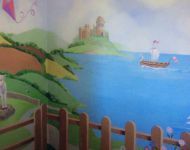 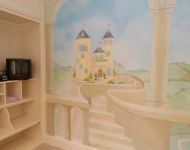 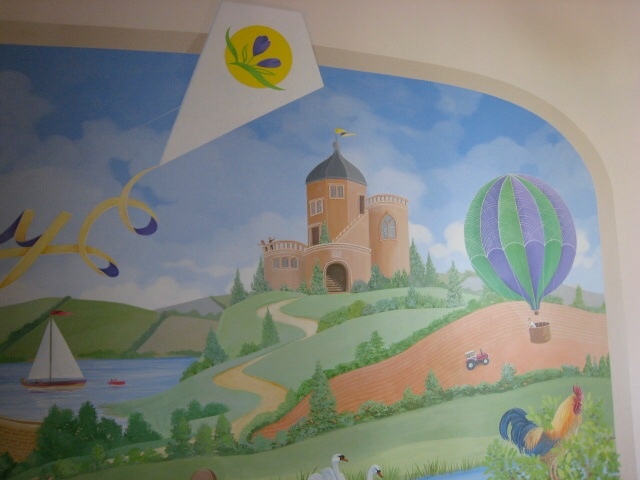 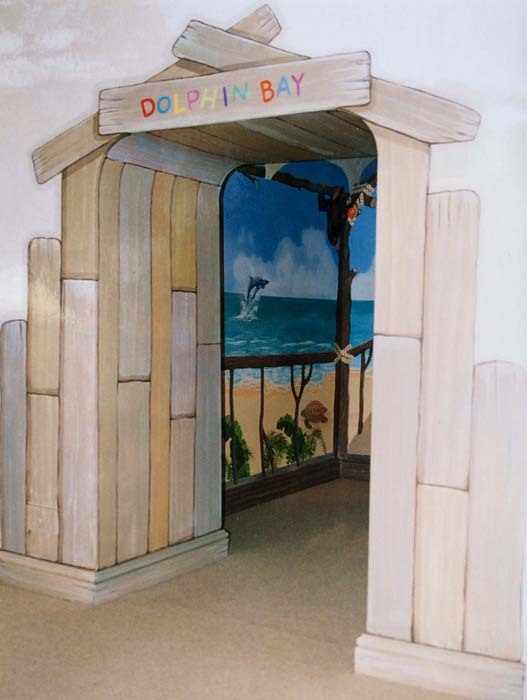 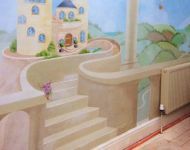 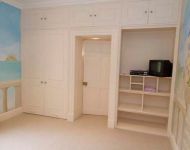 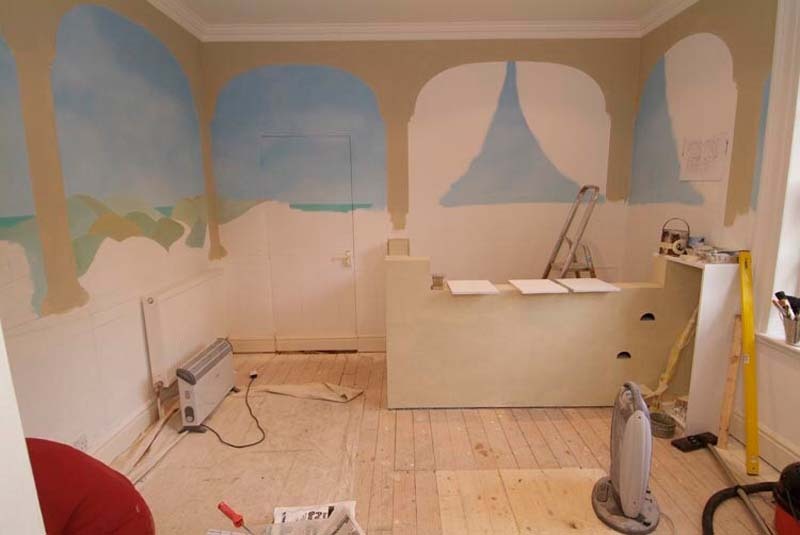 A basement was transformed into a wonderful playroom, with something painted for all members of the family. 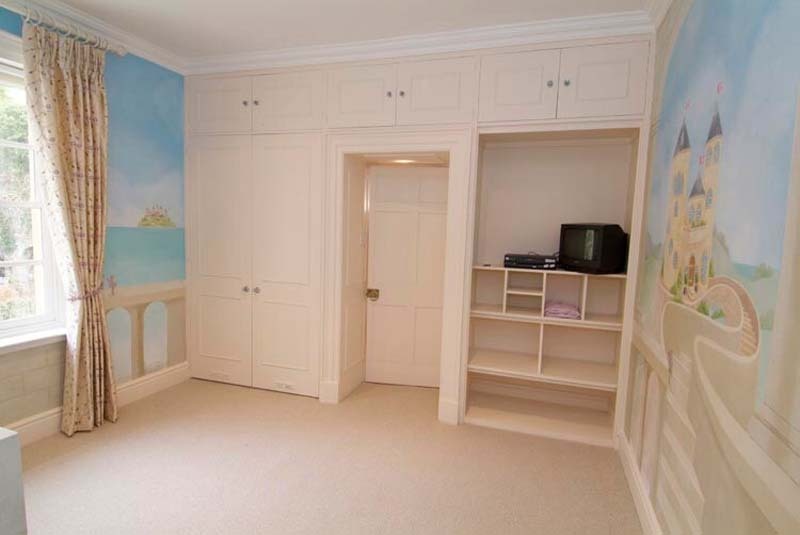 A bedroom with hills, valleys and blue sky stretching out to the sea.